Mary’s Hope Fundraising Event with Studio 54, Holy Family Cathedral Hall, Saskatoon, Saskatchewan. Yuk Yuk’s Comedy Club Cabaret with Studio 54, Park Town Hotel, Saskatoon, SK. Town of Lafleche and RM of Wood River’s 150th Canada Day Street Dance with Amanda Hagel, Lafleche, SK. Red’s Runner’s Ovarian Cancer Annual Fundraising Event with Amanda Hagel, Cabri, SK. Amanda was invited to perform and present stories from her childhood and the impact her dad Tony, who was a Grant Knight, had on her and her family. The presentation finished with a viewing of Amanda’s song “When I see you Again” which was written in memory of her dad. The weekend also featured presenters such a former CFL Football Roughrider, John Chic. Amanda’s performance left a lasting impact on all those in attendance! Amanda will be performing at Hank’s Tavern along with many other Saskatchewan Country Music Artists in one of three nights to raise funds in support of the SCMA! Amanda will be performing along with Malcolm Foster, Kristan Couture and Melanie Pain for a night a great music and fun in this small town bar atmosphere! Amanda and special musical accompaniment will be performing spiritually uplifting songs at the Gospel Showcase that reveal moments of Amanda’s own faith journey. The event features many other talented artists and musicians from around the province! Show start time - 7:00pm Amanda is thrilled to have been invited back to Hank’s Tavern, the 2016 SCMA Nightclub of the Year, to be a part of a two night event titled “Stars of the 2016 SCMA’s”. 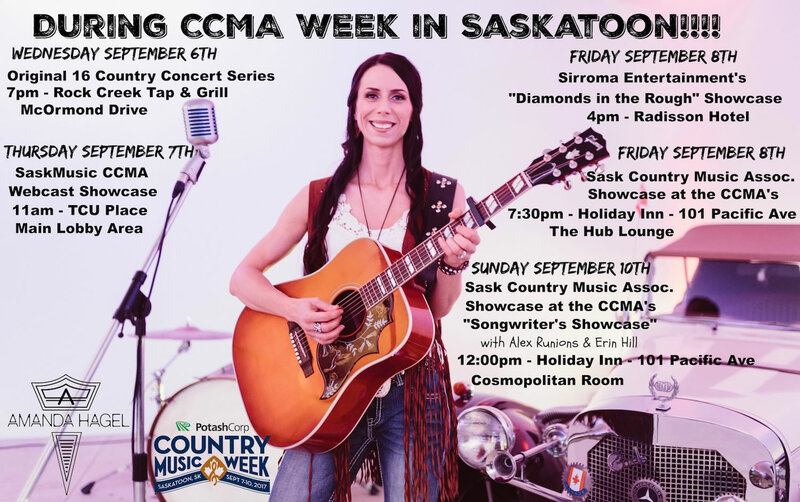 The event will feature many of Saskatchewan’s Country Music’s best performers, nominees, and award winners from this past year’s SCMA Awards weekend. June 24, 2016 – Private Backyard Concert – Saskatoon, Sask. Amanda along with her cover band, Branded Honey, will be entertaining in a private backyard party setting for a family in celebration of their daughter’s university graduation! June 25, 2016 – Private Wedding Reception Event – Farmer’s Market Venue, Saskatoon, Sask. Amanda, and her cover band Branded Honey, will be providing entertainment and a great party atmosphere at the event. Branded Honey has been providing entertainment for these types of events and many others for years. They pride themselves in a diverse set list of music, high quality sound and creating a high energy great party atmosphere. July 16, 2016 – Red’s Runner’s Ovarian Cancer Fundraiser, Cabri Regional Park, Cabri Saskatchewan. For the third consecutive year, Amanda will be performing at this fundraising event. The event was inspired by Amanda’s brother who’s wife passed away from Ovarian Cancer in 2013. The event will feature Amanda and many of her talented family members as they sing songs in a themed musical performance that celebrates many great artists from the early days of the Grand Old Opry. In 2015 Red’s Runners raised over $10,000 for Ovarian Cancer Canada! For more details on this event please contact Amanda by sending her a message through her contact page! Amanda will be performing with Studio 54 for this exclusive after party event. Amanda will be dressed up in her disco/80’s alter ego and along with her bandmates, will be sure to have the dance floor rocking all night long! Amanda has lined up a talented group of musicians to showcase her music at this festival event. The coolest part is that the event will stream live and fans who can’t be there in person can purchase a ticket to watch the show online from anywhere in the world!! Amanda is excited to be performing at this event is set to hit the stage for 5:00pm on Friday evening with many more great country acts to follow and an amazing fireworks show to end the evening! Amanda will be making a special performance appearance in support of this wonderful organization in her community. Amanda will be performing with Studio 54 for this exclusive after party event . Amanda will be dressed up as her disco/80’s alter ego and along with her band mates, will be sure to have the dance floor rocking all night long! 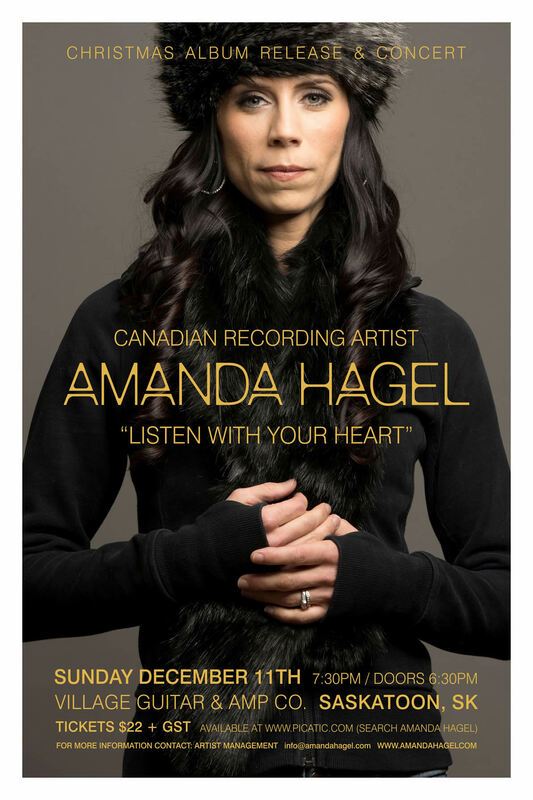 Amanda will be performing with Studio 54 to help raise funds for the Neonatal Intensive Care Unit at the Royal University Hospital in Saskatoon. Amanda is thrilled to have been asked to put on a concert on Sunday evening of the annual Lancer Chokecherry Festival. With Lancer as her hometown, Amanda performed at a young age at the festival’s talent show and now to be asked back to be the entertainer is sure to be one for the memory books! Amanda will be performing alongside other Saskatchewan Artists in the annual Country Music Association of Saskatoon Artist Showcase. The event will be filmed and televised at a later date on the Shaw Cable TV Saskatoon. 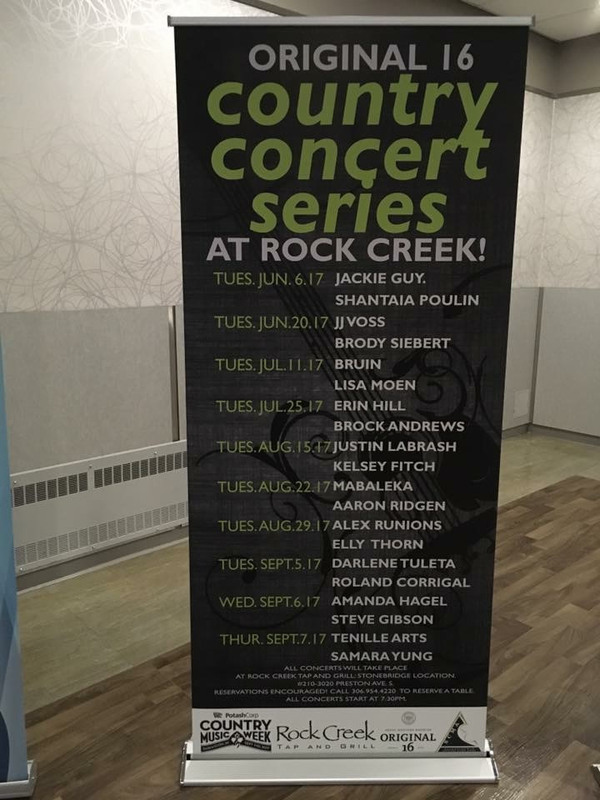 Amanda is thrilled to have landed a performance opportunity opening for the Canadian Country Music Legend, George Canyon! Amanda and her band will perform a 45 minute set starting at 8pm!! Amanda and her band mate Pat Thurlbeck will be entertaining for a house full of music lovers in Humbolt, SK. The event brings a intimate and up close performance by Amanda and allows her to connect and mingle with fans before and after the performance! Amanda and the boys of Studio 54 have been invited to perform for a dentistry group Christmas party whom the band has entertained in years past. Studio 54 expects to be playing well beyond last call for this event!